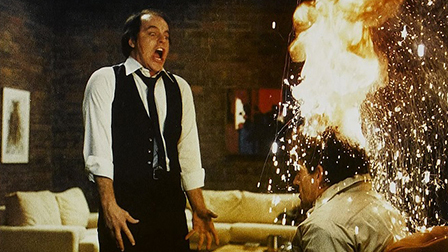 SCANNERS is the midnight movie at the IFC Center in Manhattan this weekend. 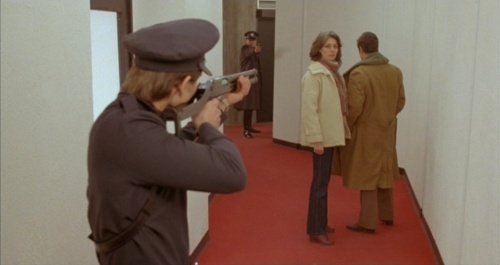 Here’s a brief capsule reflection — the movie deserves more words expended — that I wrote back when the Criterion edition came out during the summer. 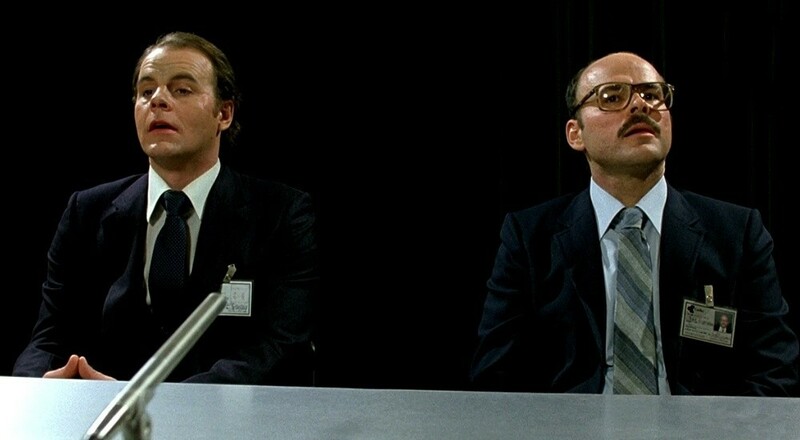 One thing I love about my late-to-the-party experience of SCANNERS is that its most notorious scene takes place pretty close to the beginning — that means, if you’re coming to it late in the game as I did, that even if you know what you probably know about SCANNERS going into it, even if you think you know all about the exploding heads, there’s still plenty to discover as the story unfolds. David Cronenberg is an essential filmmaker for genre fans to become acquainted with, perceptive and iconoclastic, but his films can feel to the neophyte to be brainy and deceptively chilly. 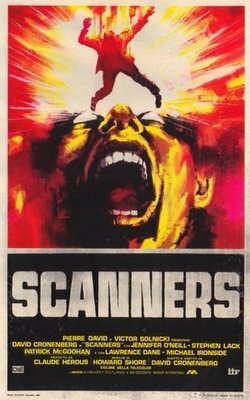 His work isn’t necessarily the most immediately accessible of all the great horror filmmakers who emerged during the 1970s and 1980s — SCANNERS is probably intermediate Cronenberg; not quite as straightforward as his mid-1980s output, films like THE FLY or THE DEAD ZONE, but still engaging enough to the wider audience it deserves. He’d certainly hate me making the comparison, but this tale of warring telekinetics is as close to a superhero movie as Cronenberg will probably ever get. 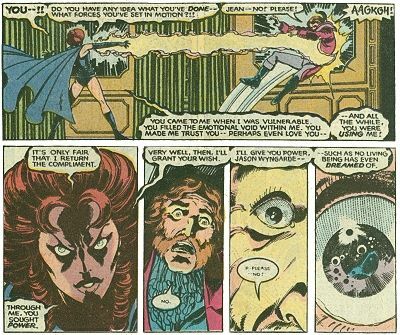 I can’t be the first to point out that the production of SCANNERS roughly coincided with another seminal pop-cult tale of ferocious psychic conflagrations, the X-Men’s Dark Phoenix Saga. That comparison might undersell t0 some the complex thematic concerns of Cronenberg’s picture, but it should indicate the rewards that await. As mind-expanding as its philosophical notions about morality and science and commerce can be, it ultimately is still a movie that begins with a man’s head exploding like a Gallagher watermelon and ends with an epic pyrokinetic duel. When Cronenberg’s films are discussed, it’s easy to focus on the ‘smart’ and the ‘art’ of them, but that doesn’t preclude their exhilaratory delights. Order the new Criterion of SCANNERS from Amazon through us!